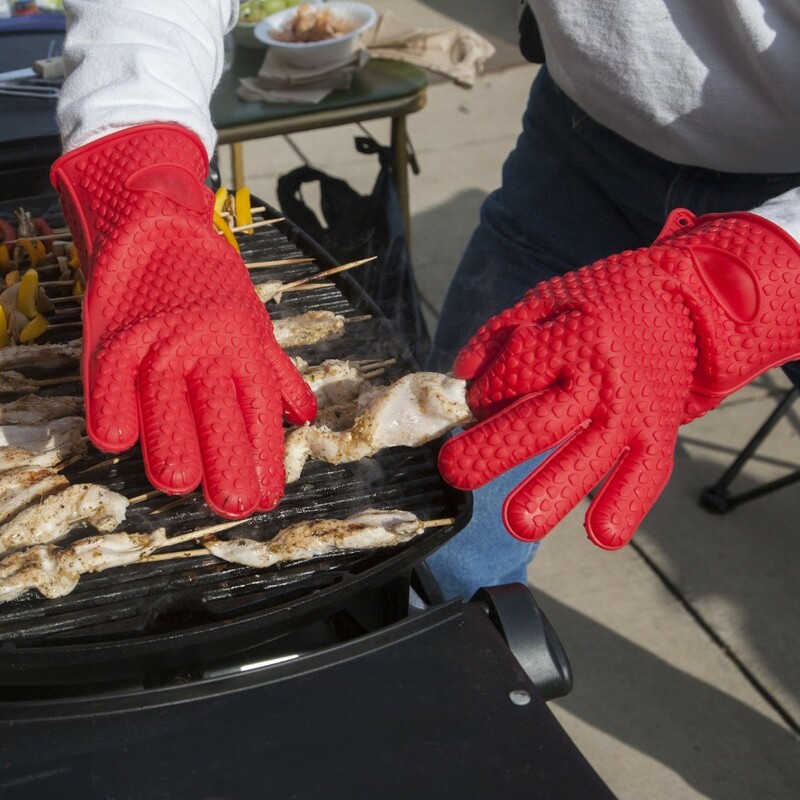 These 188G silicone gloves are tough enough to handle all the hot stuff! allowing you to handle hot items safely and easily. 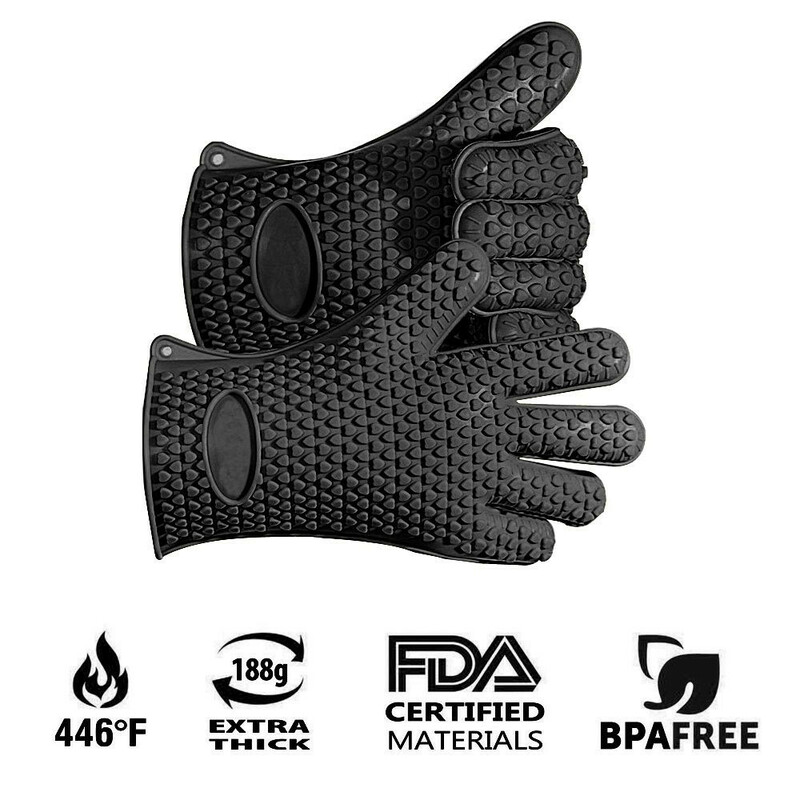 Features five finger, non-slip grip, and the raised grippers safely repel heat away from your hands. Perfect for the kitchen. Great for grilling. Rinse clean in seconds and are dishwasher safe. 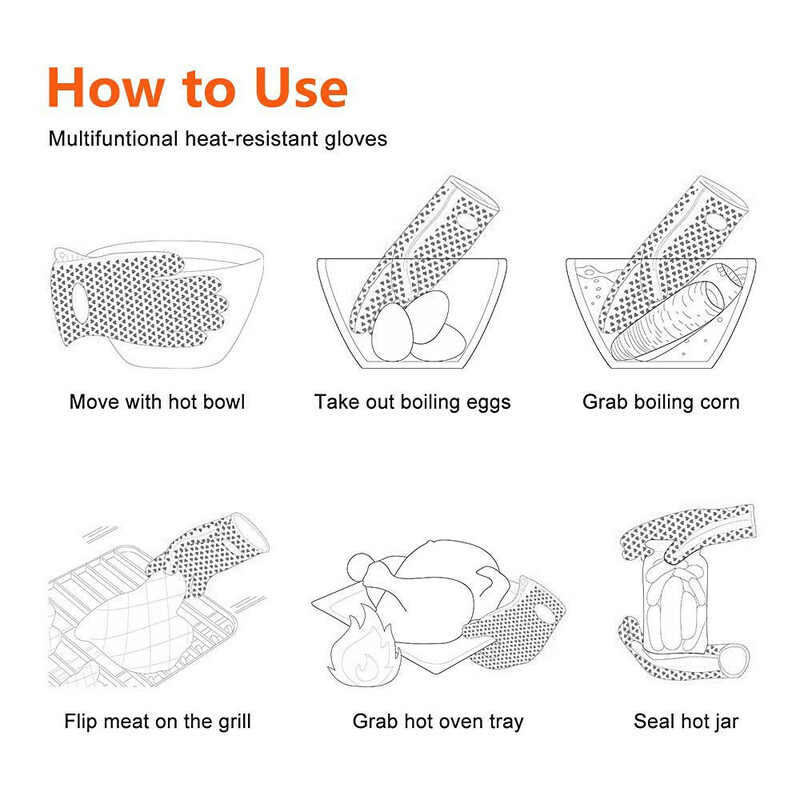 ✔ Melt-Proof, Heat-resistant silicone gloves.